Happy New Year! January has been quite an exciting month for arts and culture around the state. First up for 2013 are the many events surrounding Viva Florida 500. This statewide initiative led by the Florida Department of State, under the leadership of Secretary of State Ken Detzner along with Governor Rick Scott, highlights the 500 years of historic people, places and events in present-day Florida since the arrival of Juan Ponce de León to the land he named La Florida in 1513. For a complete listing of events, including options to filter by type of event and location, visit http://www.vivaflorida.org/Events/. Make sure to check out all of the events in your area! The Bonita Springs Historical Society, in partnership with the City of Bonita Springs, is sponsoring a 14 week series of Florida history programs at the Bonita Springs Community Center. Each Wednesday at 2 p.m. and again at 7 p.m., program presenter David Southall will introduce a different historical era along with the interesting characters and events that influenced those times with a Florida perspective. The Cummer Museum of Art & Gardens in Jacksonville has assembled about 40 pieces of Florida art in a new exhibition, “La Florida,” showcasing art in Florida from the past 500 years. The pieces range from jewelry of the 1500s to contemporary works by Florida artists. The exhibition will continue until October 6th. Seven Days of Opening Nights is Tallahassee’s premier performing arts festival, promoting Florida State University’s commitment to the arts. This year, the festival welcomes Christopher Heacox as its new director. Two new murals on Gaines Street are representing the celebration of community inspired by the festival, which continues through February. Notable performances at this year’s festival are the stunningly virtuosic violinist Hilary Hahn, the innovative and visceral choreography of Abraham.In.Motion, and many others. The 30A Songwriters Festival took place over the weekend of January 18-20 in Walton County and brought over 125 musical acts and throngs of tourists to the area. This event has been growing each year to become one of the best regarded music festivals in the country. Everyone in Florida should be sure to check out the many art and music festivals that take place around the state, such as those in St. Augustine and Lee and Collier Counties. Thomas Nestor, a St. Petersburg music promoter, is racing to raise funds to convert a historic YMCA building into a concert venue, music museum and space for after-school programs. His success hinges on his ability to secure the necessary $1.4 million in donations to purchase the structure within the next month. Music is such an important part of a comprehensive education, which is the reason that students at Florida A&M University took the time to create a CD that encourages students to do well on the FCAT, Florida’s statewide standardized test. The Character Center is selling the album for $10 to raise money for its summer camp. Opening any business during a recession can be tricky, but the Art Gallery of Viera is flourishing. From its new, larger location at The Avenue, the gallery presents exceptional educational programs in myriad media, suitable for all ages. To keep its standards at peak, the gallery only accepts top-quality local artists for membership. The Plum Art Gallery in St. Augustine is also exhibiting local and regional artists through the end of March. Richard Blanco, a Floridian, made history this month by being the youngest poet to serve as the poet for the inauguration of President Obama. Blanco is also the first inaugural poet who is Latino and openly gay. He personally delivered his poem “One Today” in front of the U.S. Capitol on January 21st. Finally, if you haven’t been, head over to Wakulla Springs State Park for a chance to see the manatees, Florida’s state marine mammal. The manatees have been making their winter home in the state park for the past 5 years or so, drawn to the water which remains between 68 and 72 degrees Fahrenheit year round. 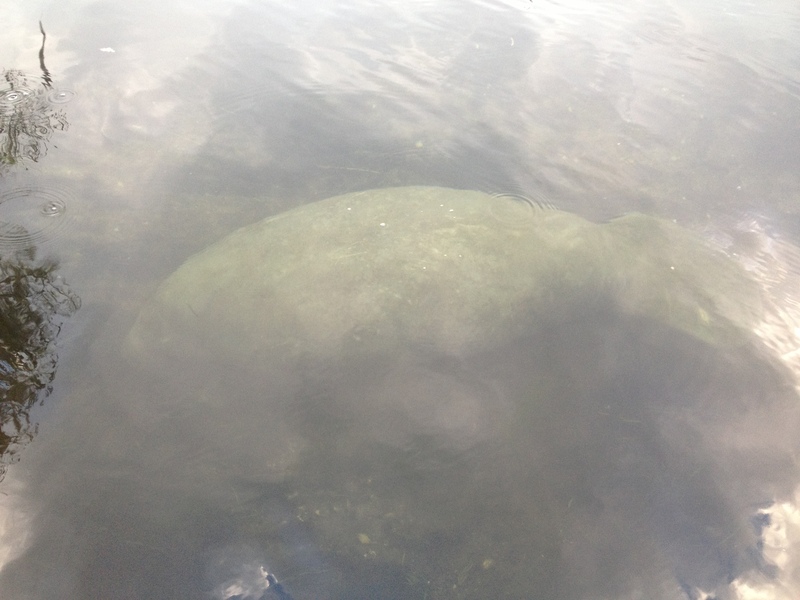 Orange City and Blue Spring State Park hosted the 28th annual Blue Spring Manatee Festival on the 26th and 27th, with events celebrating the endangered creatures. Remember: February is Black History Month. Governor Rick Scott, Lt. Governor Jennifer Carroll, and First Lady Ann Scott today invite students in kindergarten through 12th grades to participate in the Florida Black History Month art and essay contests. They also invite students, parents, teachers and principals to nominate full-time African-American educators in elementary, middle or high schools for the Black History Month Excellence in Education Award. This entry was posted in Culture In Florida and tagged 7 Days of Opening Nights, Bonita Springs, culture builds florida, Cummer Museum, Florida A&M University, florida division of cultural affairs, florida state university, Richard Blanco, Viva Florida 500, Wakulla Springs by culturebuildsflorida. Bookmark the permalink.